If you are in the Philippines then you should check out the latest promo that’s being run by one of the top telcos of the country. 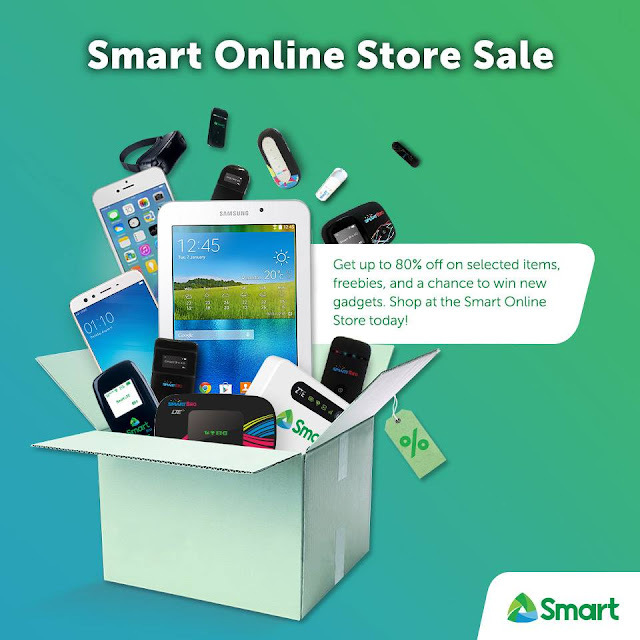 Smart is running a gadget sale on their online store right now. While most of the gadgets are already old models, some even running on Android KitKat such as the Samsung Galaxy Note 8, the prices are so low that you will be tempted to make an order. Some of my favorite picks include the following. If you are a gamer then you might be interested in the Samsung Game Pad. Those who love doing YouTube vlogs might choose the GoPRo Hero4 Silver. Students might opt to get the Acer V11 laptop which also comes with an LTE Wi-Fi modem. Ordering is quite simple as all you have to do is pick the gadget that you like then one it is included in your cart you can then make a checkout. I’m sure that these gadgets being offered on sale are limited in quantity so if you plan on getting them then you should act immediately. I've been a long time subscriber of Smart and I'm quite pleased with their service. This is just one of the promos that Smart subscribers constantly enjoy from the company and I'm sure that there's more coming soon. Head out over to this link to choose the gadgets that you would like to order. Smart Communications is one of the leading telcos in the Philippines with an estimated 62.1 million subscribers at the end of 2016. The company is currently upgrading their system to provide a larger coverage for the LTE service.